Europe maybe tiny but with its diverse cultural heritage, fascinating history and spectacular scenery it has been a favourite for travellers since time immemorial. Visit the best that Europe has to offer on your trip to Austria, Hungary, Slovakia, the Czech Republic and Germany with Akbar Holidays. Welcome to Vienna! On your arrival at the airport, we shall be waiting for transport to take you to your hotel. After breakfast, you will begin a scenic tour of Vienna with a local expert. Today you depart for Hungary. Arrive in BUDAPEST at lunchtime and discover the “Queen of the Danube” on a scenic tour of the city. 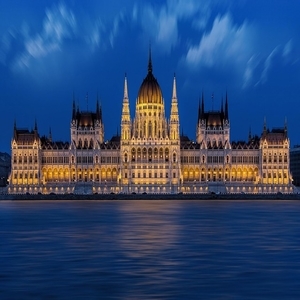 In the morning, take a cruise along the Danube River; the views of the city and parliament are truly impressive. 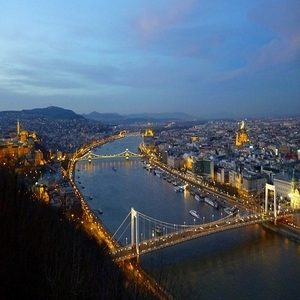 Today you will leave Budapest for BRATISLAVA, the capital of Slovakia on the banks of Danube. Today you will experience the Baroque Jewel of Europe. Our local expert will provide a guided city tour, which will include the city’s most outstanding monuments. Leave for Germany, to the lovely region of Bavaria, where you will see LAUF AN DER PEGNITZ, a picturesque little village which stands out for its busy Market Square and Castle. Europamundo General Services: Travel by bus with English speaking guide, basic travel insurance, and breakfast buffet. Boat: Danube River in Budapest, Vltava River in Prague. City tour in : Vienna, Budapest, Prague. Evening Transfer: City Hall Square in Vienna, Vaci Utca in Budapest. Welcome to Vienna! On your arrival at the airport, we shall be waiting for transport to take you to your hotel. Our guide will greet you at the hotel and provide you with all the necessary information. You have the rest of the day free to explore one of the most beautiful cities in the world. 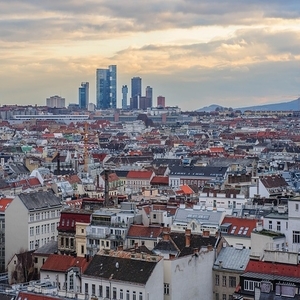 After breakfast, you will begin a scenic tour of Vienna with a local expert. Experience the city’s majestic avenues, its palaces and the vibrant city centre. 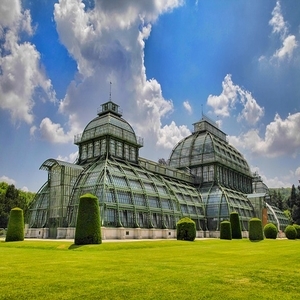 Directly afterwards, head to the Schönbrunn Palace where visitors can stroll around some of Europe’s prettiest gardens. In the evening, you will go to the City Hall Square to enjoy the lighting and the nightlife in the neighbourhood and dine at your preferred restaurant with cuisines from around the world including Austrian, Chinese, Indian and Italian. Today you depart for Hungary. Arrive in BUDAPEST at lunchtime and discover the “Queen of the Danube” on a scenic tour of the city. This city is divided by the Danube, with historic Buda on one side and cosmopolitan “Pest” on the opposite bank. You will have time at the end of the day to explore the lively Vaci Utca neighbourhood with its many charming multicuisine restaurants. In the morning, take a cruise along the Danube River; the views of the city and parliament are truly impressive. You will have the day at leisure after the tour with time to explore the city and dine at a restaurant of your choice. 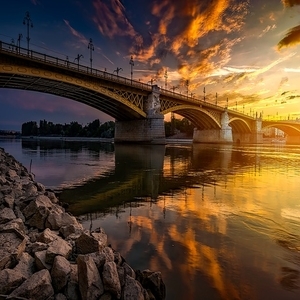 Today you will leave Budapest for BRATISLAVA, the capital of Slovakia on the banks of Danube. You will have time to see the city and have lunch. After lunch you will continue the Czech Republic. Arrive in PRAGUE, at the end of the afternoon and visit the Old Town Square. This central location is full of energy and life. 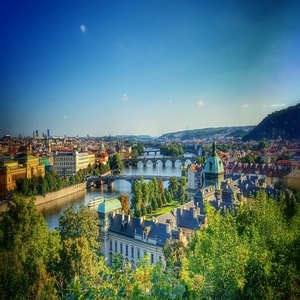 It’s a marvellous place to acquaint yourself with Prague. Several restaurants offering cuisines from around the world will be waiting to delight your taste buds, including Czech, Chinese, Indian and Italian. Return to your hotel at the end of the evening. Today you will experience the Baroque Jewel of Europe. Our local expert will provide a guided city tour, which will include the city’s most outstanding monuments. 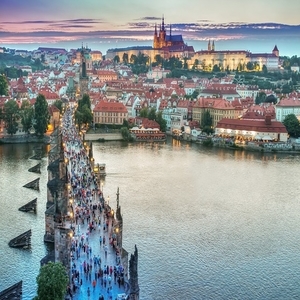 During the visit walk through Prague Castle and take a cruise along the Vltava River. You will have free time in the afternoon to explore Prague. In the evening, enjoy some time off in the historical city center and savour cuisines from around the world (including Czech, Chinese, Indian and Italian). Return to your hotel at the end of the evening. Leave for Germany, to the lovely region of Bavaria, where you will see LAUF AN DER PEGNITZ, a picturesque little village which stands out for its busy Market Square and Castle. After this, you will make your way to WURZBURG, with time for lunch and to see this charming Bavarian city on the banks of the Maine, a former bishopric centre and now a very busy university city. 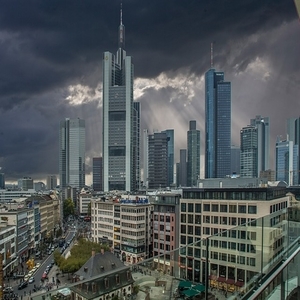 Your journey then continues towards FRANKFURT. Explore the historic centre and choose your restaurant to dine in from Indian, Oriental, Italian, International, and so on.